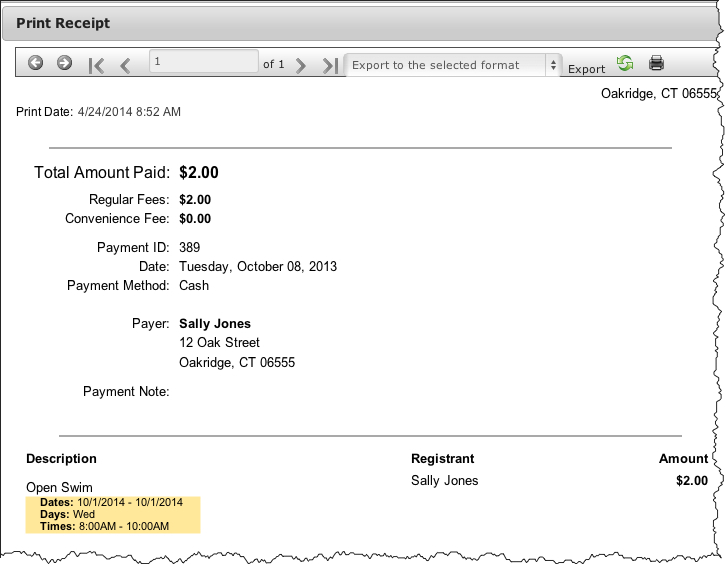 We’ll be implementing the Invoicing feature for all of our customers on 1/19/2015. It will be a relatively seamless update. With that said though, it will result in a minor change to the checkout workflow and we want to make sure everyone has an opportunity to learn more about it and ask questions prior to full-rollout. We’ve expanded the exporting of Program Roster to now include ALL of a registrant’s profile information in addition to Names, Phone Numbers and Email Addresses of those individuals in their household marked as Head of Household. You no longer have to click Show All Columns first to do this export. Simply click on the Export Full Detail to Excel link under the Actions button. We just implemented the first set of what we term Advanced Fee Options. The initial advanced option gives organizations the ability to restrict Fees to only those registrants who have an active Membership in one of the checked Membership Types (see below). 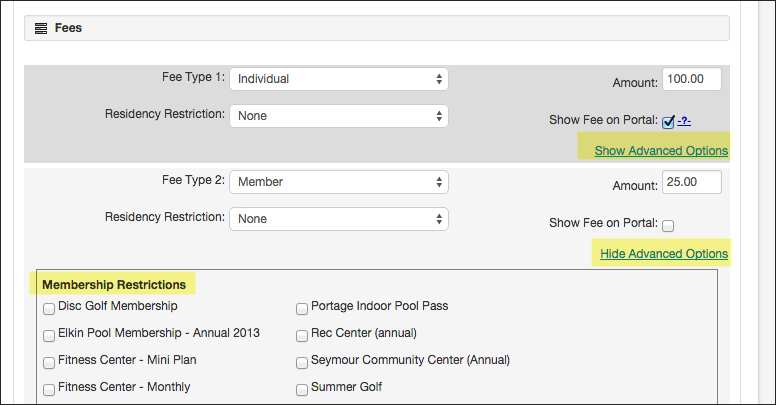 There is now a Show Advanced Options link on each Program Fee line that can be expanded to access a list of currently active (or future) Memberships to set appropriate restrictions. 1. Show all Child Facility activity for given Primary Facility on Master Calendar. We just added the technical infrastructure to support system notifications (system alerts). RecDesk users will be able to subscribe to certain triggering events to receive an email of that system activity. Out of the gate, we support Online Reservation and Program Full alerts. We’ve just rolled out the long anticipated automated League Scheduling module! 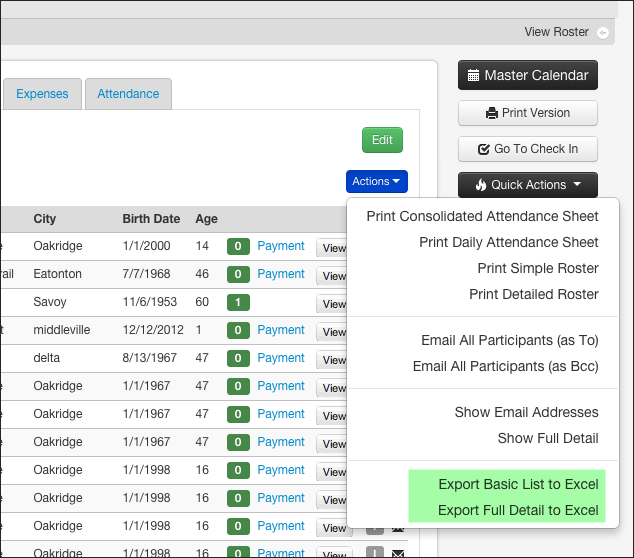 This feature allows you to specify dates and times where games will be played and then press a button to let RecDesk do all the heavy lifting around figuring out who plays who, on what days and on what fields. League Schedules and Standings can now be easily published to your RecDesk Community portal by simply checking the Show on Portal checkbox for a particular league. The Leagues tab will provide for showing both currently active leagues as well as those that have passed and are organized in a list organized by Category then Season (see League List below). We just rolled in a great addition to League Management and have introduced league scheduling and standings capabilities. This first iteration provides “manual” scheduling. Games can be scheduled amongsts teams at the facilities/fields you designate and game results can be captured. All of this will be fully tracked on your Master (and Facility specific) Calendar and included in conflict (double-booking) checking when scheduling Programs, Reservations or other games. 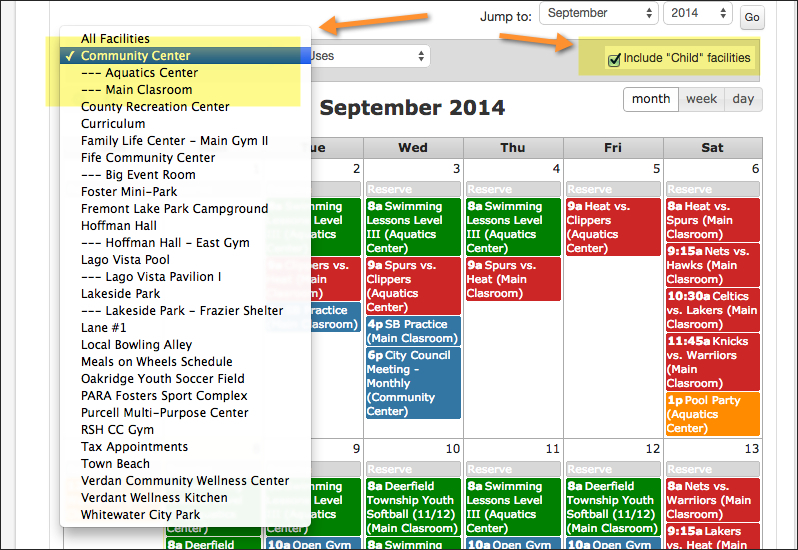 A release was pushed in last night that includes more detail at the Program level for Start/End Dates, Days and Times. If the Line Item is a Facility Reservation, this is where the Reservation time will now be stated. Similarly, for Membership purchases, this is where the individual names of the Members included on the Membership will now be.